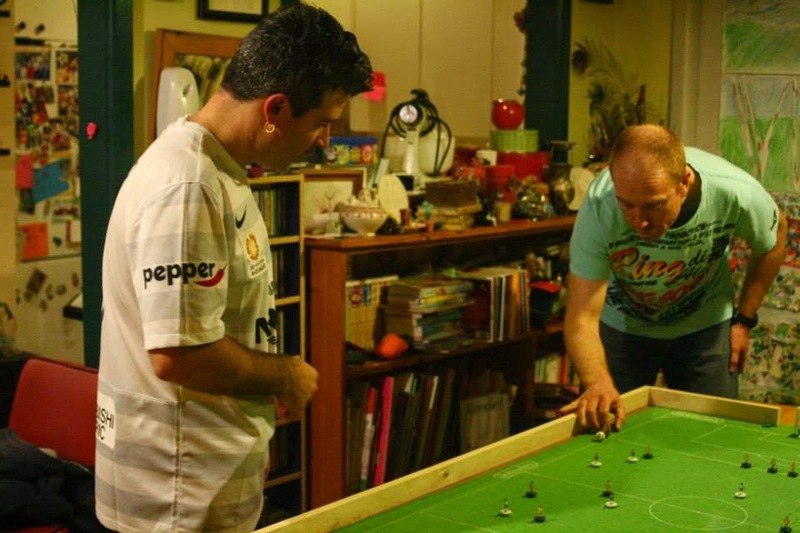 Subbuteo returned to its roots in the September Cup, bringing back the days of cramming into lounge rooms, dining rooms and garages, to hover over cotton and nylon pitches and play with round based figures. With a variety of conditions present on the different styles of pitches - from smooth and fast to Field A, affectionately known as ’The Glue Pot’, players had to show versatility in their skills to do well. A field of 8 players with a diverse range of abilities locked horns in a Swiss System tournament that later ran into a finals series as everyone was keen for more games - and a grand final! 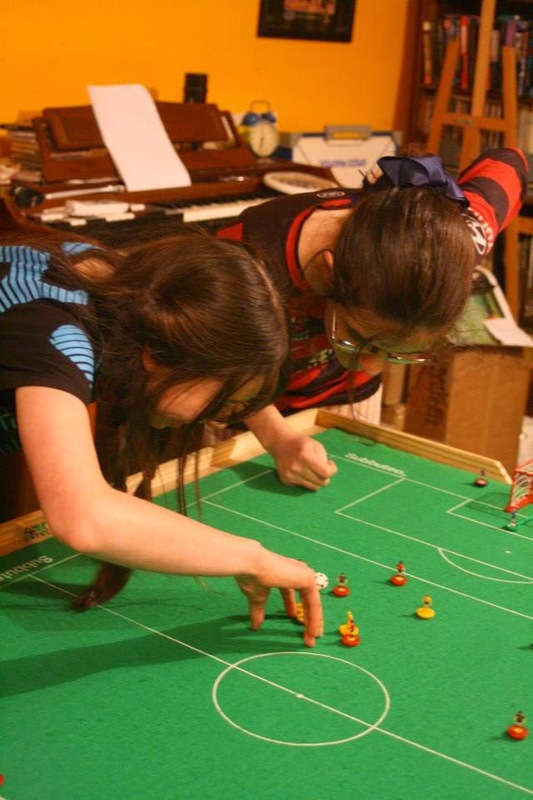 Early results went the way of Steve Dettre and Ethan Foster, while Adrian Elmer and Jonny Ball played out a tense scoreless draw, as did youngsters Imojjen and Æowyn Elmer, the random draw pitting the sisters against each other in the opening round. Jonny Ball began to revel in the old pitch conditions as his bending and shooting skills gave him significant wins in the next few rounds. Adrian Elmer made his way through all 5 of the Swiss System rounds without conceding a goal, though did struggle at the pointy end of the field, leaving him with a string of draws to go with his two victories. After missing the first round due to a long drive to the venue, previous September Cup winner Phill Parker began to crawl his way up the table while another former champ, Alex Jennings, squeezed into the top four. Making his September Cup début, Ethan Foster had a mixed bag of results while Steve Dettre quietly went about building a consistent run. 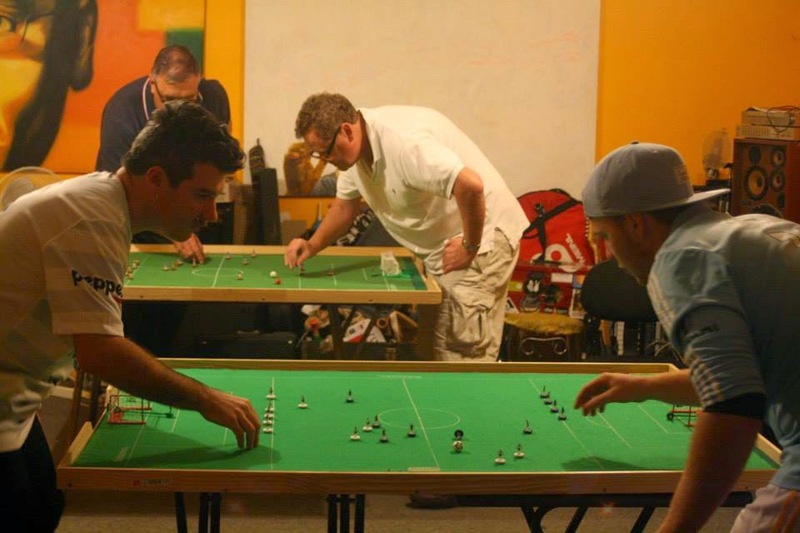 After five rounds of the Swiss System, players went into a finals series, with the top four playing for the trophy and the lower four for the shield. In a rematch of the day’s opening game, Jonny finally broke down Adrian’s defense to grab a 1-0 victory, while Steve and Alex went to shots after a 1-1 draw. Steve booked himself a place in the final with 3 clinical finishes and some solid goalkeeping. 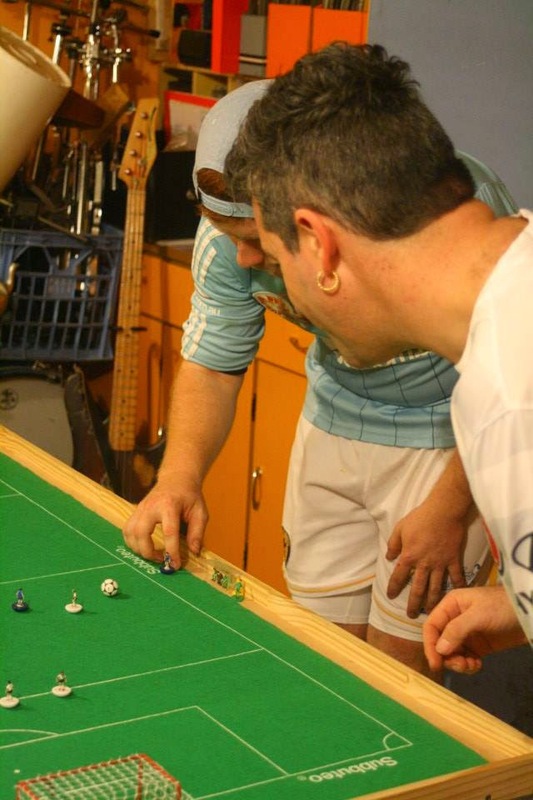 Following the consolation play-offs, the grand final was another tense affair. Steve took a one goal lead into the half time break but Jonny levelled early in the second period with a delicate shot that left Steve’s ‘keeper stuck to the spot. With just under a minute to go, and both players feeling the tension, Steve pulled of a brilliant shot, squeezing past one defender while getting the finest of angles on the ball, yet still hitting it with the force to lodge into the far corner of the goals. It was a goal worthy of winning a final. A great time was had by all - the experienced players giving pointers to the newer players and helping them improve, while competing fiercely in the tighter games. Thanks to all for making another great September Cup. In the FISTF rankings of August 2014, Robert Green is ranked 327th in the Open table and 88th in the Veterans. Gerald Brightwell is 296th in the veterans. Australian players in the world rankings. In the FISTF world rankings of July 2014, Robert Green is ranked 598th in the Open section and 86th in the veterans. Gerald Brightwell is 294th in the veterans. 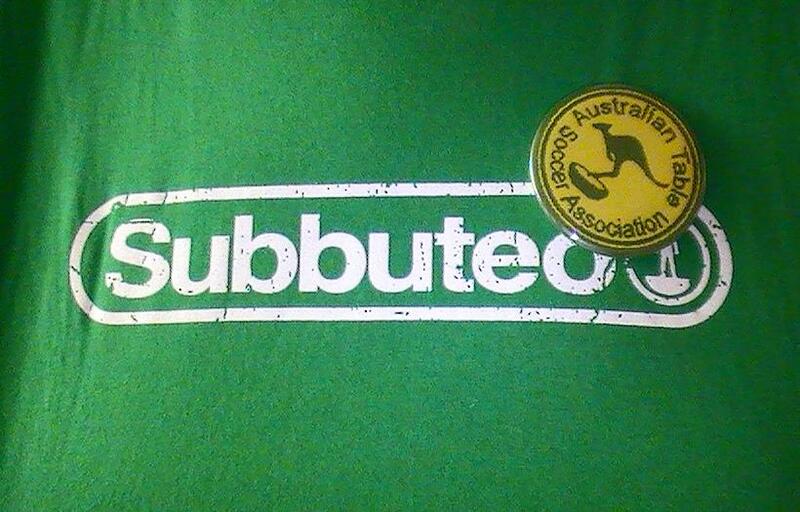 Well done Adrian Elmer for the great new logo of the Australian association. 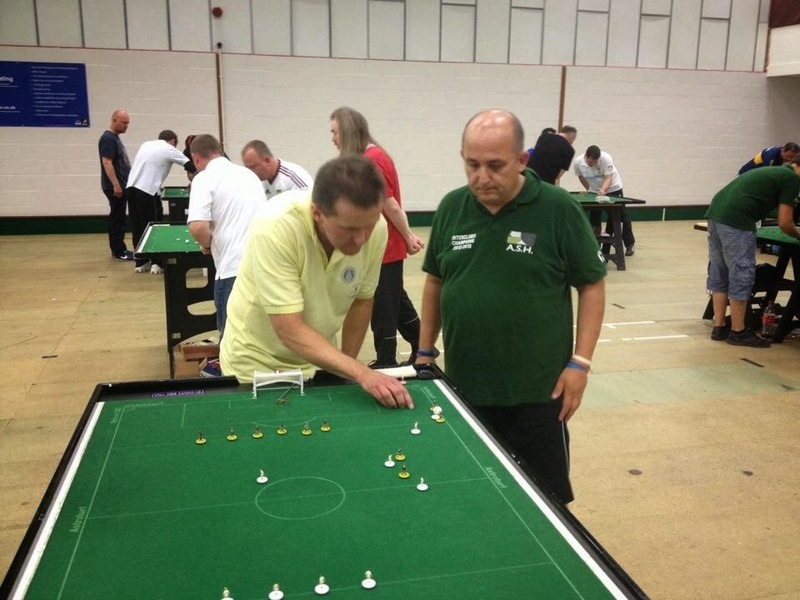 The FISTF Grand Prix of England took part last week in Enderby with a large field of 63 players from 12 nations. It was great to see many close games even if in the end the two top seeds of the tournament reached the semi-finals. At this stage, Chris Short beat Chris Thomas on shots while Mark Gauci beat Nathan Dupont (4-3). In the final, Short scored the only goal of the game in the sudden death to win the title. Other winners in the categories were Elliott Bellefontaine (U19), Connor Bowden (U15), Mauro Manganello (Veterans), Margault Delval (Ladies) and Kye Arnold (U12).. In the team event, 14 teams took part. In the final, the Maltese team of Valletta beat the Belgians of AS Hennuyer (1-0) to catch the title. Bob Green was the only representative from Australia. 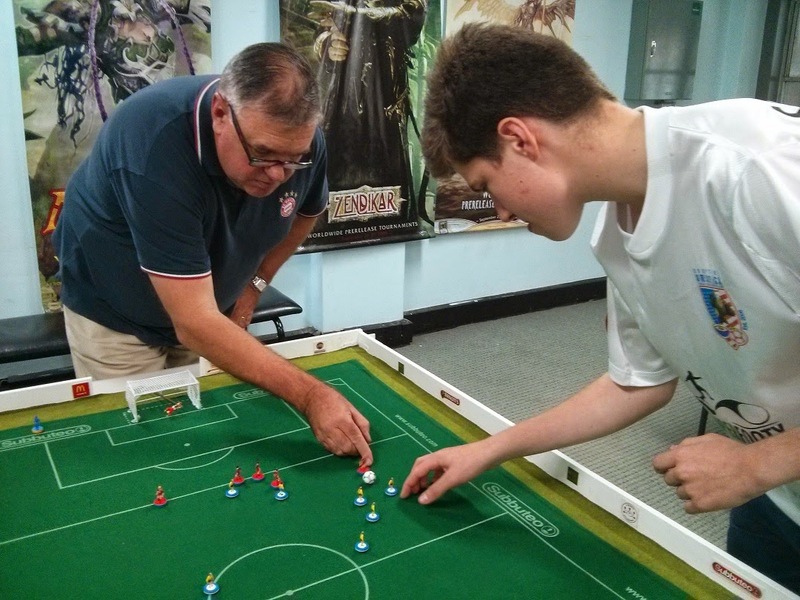 He managed to reach the quarter-finals of the veterans section. Well done Bob! 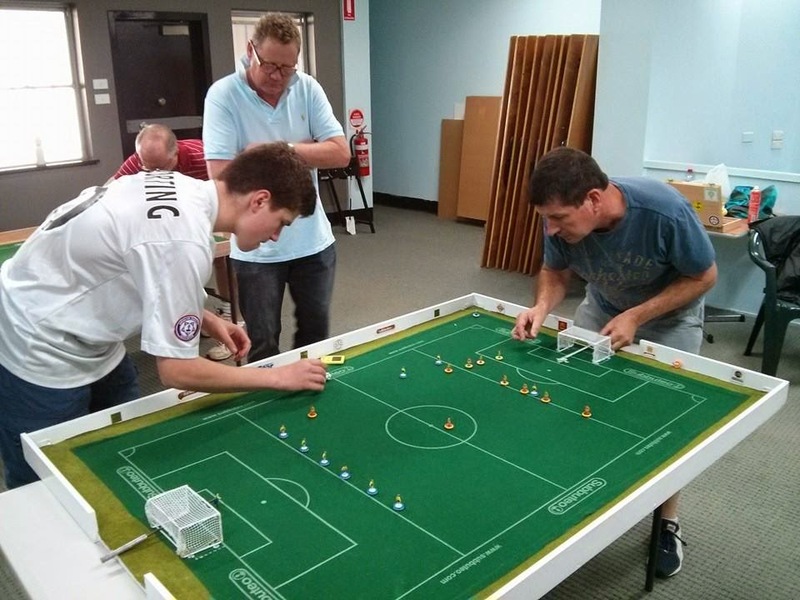 Another great Subbuteo tournament was held on the 18th May 2014 in Penrith, Sydney. Returning after a couple of years in the wilderness, it was great to see Steve Dettre and Jonny Ball playing once again alongside newer players Ethan Foster and Adrian Elmer. Showing he still hasn’t lost his touch Steve Dettre made it to the semi-finals with his vintage toccer figures. Peter Thomas struggled to break down Steve’s stonewall defence until the final few minutes of the game. In his first ever tournament Ethan Foster won his first game, and finished in sixth place overall. Benji Batten who came all the way from Melbourne to play made it out of his group on goal difference, after a crucial win over Paul Magee, before succumbing to Eliot Kennedy in the semi final. After consuming some sports enhancing Irn-Bru before the final, some early goals by Peter Thomas made the match a one way affair, in contrast to their recent close battle in Parramatta. Thanks to Megagames Penrith for hosting the tournament, and to everybody for coming. Hope to see you all again soon. In the FISTF rankings of April 2014, Robert Green is ranked 594 in the Open section and 115 in the veterans. Gerald Brightwell is ranked 236 in the veterans. 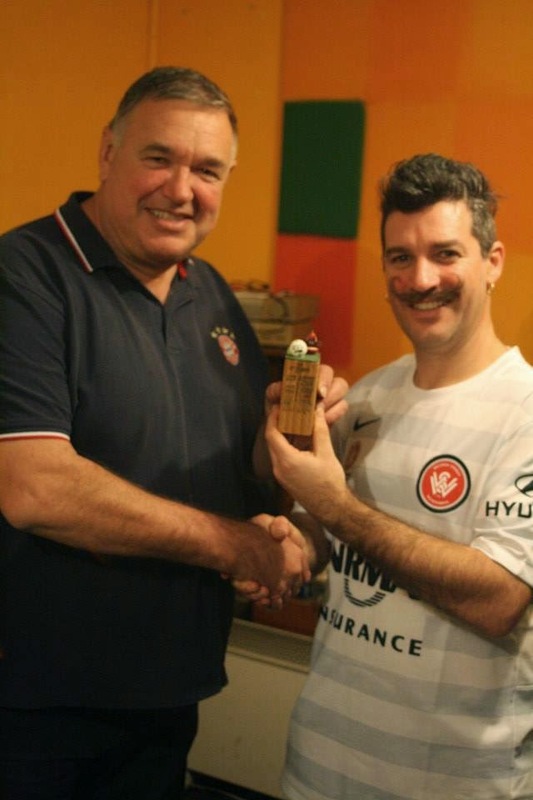 Here is a review of the tournament winners in Australia in the season 2012-2013. And here is a of the tournament winners in Australia in the season 2013-2014. 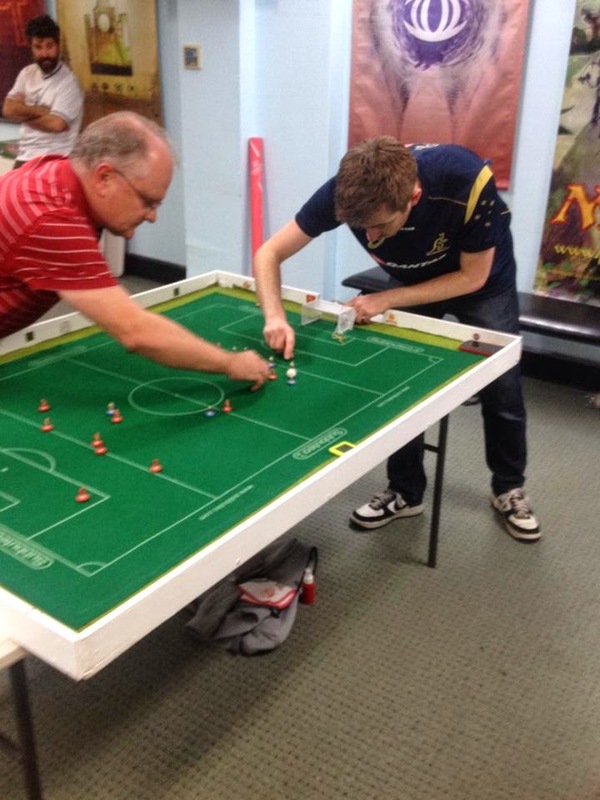 All about Subbuteo Table Football in Australia. Australia is a partner nation of FISTF. 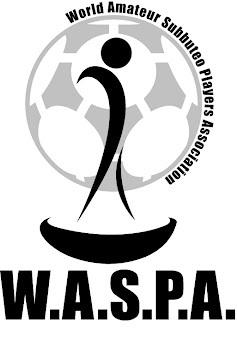 We are trying to get people together to organize friendly matches, local leagues and some tournaments. PS: don't hesitate to send your news and feedback to the webmaster.